Vincent Price is wonderful as the sinister owner of an old, dark and evil mansion located on a haunted hill (I guess that's how they came up with the title). He bribes several of his enemies with an offer of $10,000 each, if they would spend the night in the crumbling mansion. He gives each of his guests a tiny coffin containing a handgun and proceeds to set in motion gadgets and devices aimed at frightening his visitors into using their weapons. Terror, murder, and the supernatural make this one of producer/director William Castle's best films. Last night I had a dream... a dream that I was supposed to go to this old house to help the owner with some house repairs and such. When I arrived at the house I start looking for the owner... but strange things kept occurring leading me to believe I was in a haunted house. So I continued to look for the owner of the home. I finally find him.... to find that I was standing there looking at none other then Vincent Price! So we start working... but the ghosts kept messing with my work... and since my work kept getting messed up Vincent Price was steadily telling me off! This was the first Vincent Price movie I ever seen... and one of the movies that showed me the error in my ways (when I used to say Ewwwww... but it is B&W!). If you have not yet given this true classic horror movie a try... I highly recommend it! Treehouse Of Horror V: Homer attempts to kill his family in 'The Shinning' (No TV and no beer makes Homer something something...). Homer tries to fix a toaster and winds up altering the fabric of time itself in 'Time and Punishment'. Principal Skinner serves students for lunch in 'Nightmare Cafetaria'. Treehouse Of Horror VI: Icons go berserk in 'Attack of the 50 Foot Eyesores'. Groundskeeper Willie invades the children's dreams in 'Nightmare on Evergreen Terrace' and Homer enters a 3-D world of computer animation in 'Homer 3'. Treehouse Of Horror VII: We meet Bart's evil twin in 'The Thing and I'. Lisa creates a miniature world in 'The Genesis Tub' and aliens steal the identities of Bill Clinton and Bob Dole in 'Mr Kang Goes To Washington'. Treehouse Of Horror XII: In 'Hex and the City' a gypsy curses Homer, bringing misery to everyone he loves. In 'House of Whacks', a computer (voiced by Pierce Brosnan) takes over the Simpson house and attempts to kill Homer for Marge's love. In 'Wiz Kids' Bart and Lisa are students at a school for wizards, where they foil the evil Lord Montymort. I just finished watching all 4 episodes with my daughter, Brittany. These are my favorite Simpsons episodes so I was thrilled when I saw that some of them was being released on a best-of DVD. Really enjoyed all the episodes... just good Halloween fun! Restless spirits stir this Hollow's Eve, beckoning Ian Cranston (Kevin Zegers, 'Dawn of the Dead'), the last blood relative of Ichabod Crane, back to Sleepy Hollow. Thundering hooves unleash a wave of bone-chilling screams as the ghost of the Headless Horseman rides again! Ian must try to save the town and his girlfriend, Karen (Karley Cuoco, "8 Simple Rules") and determine wheather the sword-wielding stalker is their clownish classmate, Brody (Nick Carter, Backstreet Boys) in costume, or the dark rider himself. If it's truly the Headless Horseman...how do you kill what's already dead? Another of the "Blind Buys" I bought this month. I grabbed this one for 2 reasons. #1 - I always enjoyed the story of The Legend of Sleepy Hollow. I know this is an updated modern version of the story... but that sounded like it could be fun to me. #2 - This one has Kaley Cuoco in it. I know she was in 8 Simple Rules with John Ritter... but I never seen that show. What I know her from is the last season of "Charmed" (Billie) and the new sitcom "The Big Bang Theory" (the neighbor). Since I am becoming a fan of hers I wanted to check her out in a movie. This movie also has Nick Carter (Backstreet Boys) in it. I went into this movie with very low expectations. I don't know... but that may have helped me this time around... as I found myself really enjoying the movie. Nick Carter played a real jerk in the movie... and he did a better then I expected job. Not a great actor... but not terrible either. I think Kaley Cuoco did a fine job as well... I am finding myself becoming more and more of a fan of hers. As I said... I did enjoy this movie... but I have seen better. This is just one of those leave your brain at the door pop-corn movies. I have mixed feelings about the pumpkin head on the Headless Horseman... it was some pretty cool graphics for sure... but there just seemed to be something slightly off about it. I guess what it boils down to is if you can get it cheap... and don't mind some brainless horror... you may want to check this one out. I've seen the trailer of a vampire/zombie flick he is in. That looked actually quite promising (not because of him, but because of the gore involved). yeah... Nick Carter of The Back Street Boys. I think he did a fairly good job and if he studied a bit and worked at it I think he could be a fine actor if he chose to be. I don't know if he has what it takes to be huge.... but a decent actor. This is the only thing I ever seen him in at least. At Woodward Penitentiary for Women, an unexpected and highly disturbed inmate is now held in the psych ward once overseen by criminal psychologist Miranda Grey. The inmate: Dr. Grey herself. Halle Berry portrays Grey, accused of a savage murder and clinging to her sanity as she copes with a series of ghostly encounters in Gothika, from Dark Castle Entertainment. A fellow doctor (Robert Downey Jr.), a volatile inmate (Penélope Cruz) and others figure in her harrowing ordeal. Mathieu Kassovitz directs this jolting ghost story in which strange voices cry out, messages scrawled in blood appear, specters arise - and the only thing more gripping than Grey's stark awakening into madness is her feverish attempt to escape it. This is a ghost story I enjoy every now and again. I wouldn't say it is the best ghost story I ever watched.. but for me it has it's moments. I would rate it at slightly above average.... just nothing extra special about it in my opinion. Of course that could be because I had the movie figured out a bit early... so it did seem a bit predictable in my opinion. But either way I think it is a fun watch. The dead come back to life and eat the living in this low budget, black and white film. Several people barricade themselves inside a rural house in an attempt to survive the night. Outside are hordes of relentless, shambling zombies who can only be killed by a blow to the head. 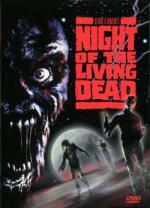 As much as this is one of my favorite zombie movies... there is one thing that always bugged me about this movie. I mean I know it is only a sign of it's time and all... but I absolutely despised Barbara's reaction in this movie... all the screaming and crying... I so just wanted to slap her! I always liked a strong and smart woman in horror movies... none of that crying... screaming... running upstairs instead of out the front door or tripping over her own 2 feet type crap for me! Even with that said I consider this to be an excellent zombie movie... one I believe every horror fan should see... at least once! Did you see Kathy's post the other day? She came to the exact same conclusion. I said in reply that I always felt this film had a strong sub-text about race and the white characters all die because they are presented as stupid or in Barbara's case, unhinged. Romero was so busy redressing the balance between race, he hadn't got time to tackle sexism as well! I must have missed her post... because I always hated the way Barbara was portrayed in this movie! but on the other hand I did like how Ben was portrayed! OK... for my tastes... this is much more like it! Yes... in the beginning Barbara is still all scared and crying... but she is quickly out of that in this version! This is the way I want to see Barbara! Not to mention that I am a huge fan of Tony Todd. Between those 2 things... it really feels like this remake was made catered to me. As much as I love the original... and I do love the original!.. I have to say in this case I definitely prefer the remake! How often can someone say that? 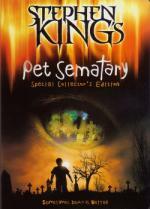 Pet Sematary is one of my all-time favorite Stephen King movies. I have seen it countless times... and I still don't tire of it. My favorite scene in this movie is when Gage goes after Fred Gwynne's character, Jud with a scalpel and slices both across his cheeks and across the back of his ankle... both those slices really makes me cringe. This is just an awesome horror movie! I just made it half way to my goal (64 Movies) and today is only the 11th!! Sometimes dead is better. But the shocking terror that plagued Ludlow, Maine in Pet Sematary is still very much alive in this heart-stopping sequel to the 1989 hit film written by Stephen King. After the death of his wife, veterinarian Chase Matthews (Anthony Edwards, TV's "ER") and hsi 13-year-old son Jeff (Edward Furlong, "Terminator 2: Judgement Day") move to Ludow to rebuild their lives. Antagonized by the neighborhood kids, Jeff befriends another outsider, Drew Gilbert, who lives in fear of his cruel stepfather Gus (Clancy Brown, "Highlander"). After Gus cold-bloodely shoots Drew's beloved dog, the boys bury the body in the local Indian burial grounds - a place rumored to have powers of resurrection. When evil is awakened, the boys realize that sometimes you should just let dead dogs lie. I figured since I watched the first one I would go ahead and watch the sequel too. I enjoyed this movie... but not nearly as much as the first one. I would say... that in my opinion this one is just an average horror movie. Worth the time putting into it... but not something I would be in a hurry to pick up. More like something I would grab if I found cheap... probably on an impulse buy. That said... it is still a movie I enjoy watching now and again... but not one that I feel the need to watch every time I watch the first one. The Helliwell sisters travel back to the 1600s to protect a coven in danger of extinction and save their own future. Had to watch a Halloween episode of one of my all-time favorite TV Shows! This is one of my favorite episodes of the entire series. The Charmed Ones travel back in time and learn the real meaning of Halloween. Phoebe even embraces it all and flies around on a broomstick. This episode is just lots of fun. Doug and Carol man the Healthmobile, a roving medical van that caters to the homeless. Benton tries to be more warm and friendly towards children, even taking a group of hospitalized youngsters trick-or-treating, ending by standing on his head in the hallway. Gant demands more respect from Benton. Mark anxiously waits for Susan to return from vacation. 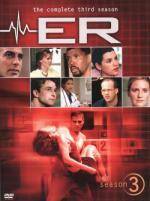 Felt like something a little different so watched a Halloween episode of this medical Drama. Was a nice change of pace... but now ready for some more horror movies!